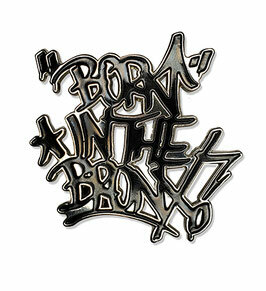 The "Born" in The Bronx! 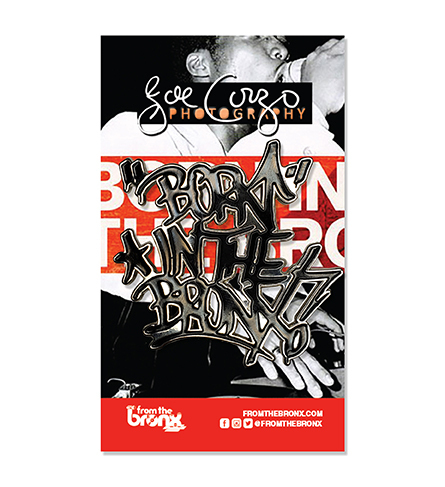 Pin by photographer Joe Conzo, "The Man Who Took Hip-Hops Baby Pictures," features his iconic "Born" in The Bronx tag in black and silver. The pin is perfect for jackets, bookbags or hats and is exclusive to FromTheBronx.com!